Jammu, Feb 11: Thousands of Kashmir bound passengers stranded in parts of this winter capital of the state due to closure of Jammu-Srinagar national highway in view of landslide near Ramban, have rued the airlines for increasing fare from Jammu to Srinagar thus taking an advantage of the situation. 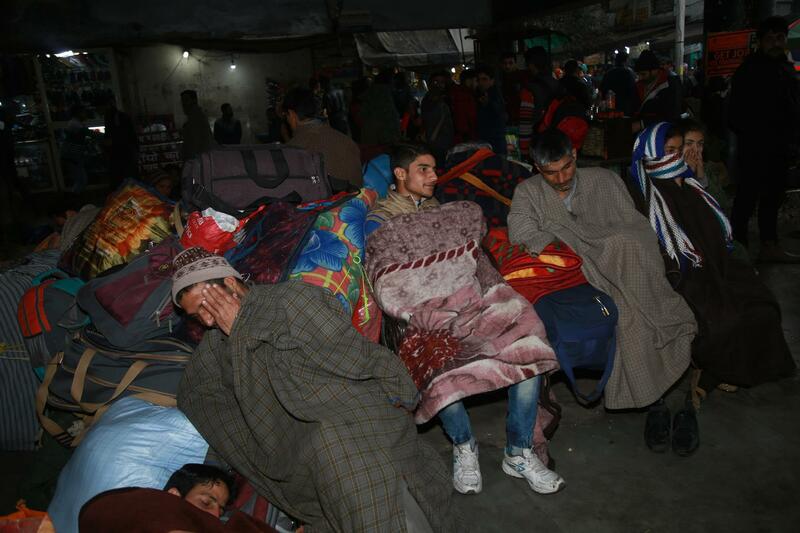 Around 10,000 passengers from Kashmir are stuck up in Jammu due to the blocked highway and have been accommodated in government buildings, community halls, hostels and other places. The passengers however, demanded that they should be airlifted to Srinagar so that they can reach their respective destinations. “The Jammu-Srinagar national highway is closed for the past one-week but till date no initiative has been taken by the administration to airlift us,” Mohammad Idris, a passenger said. He however, said that many passengers also tried to fly to Srinagar on their own but due to sudden increase in the air fare, which is sky rocketing, they dropped the idea. “There is no check on air fares. The airlines are minting money without caring and having any sympathy with the people,” he added. The passengers stranded in Jammu are accommodated in different buildings and are also being provided food by the administration. District administration however, has directed the hoteliers and lodge owners not to overcharge from them otherwise they will invite action. The Kashmir bound passengers have also appealed to the Governor to get them airlifted in Air Force sorties so that they reach to their destinations. “We are in continuous touch with the Air Force authorities and have submitted them in writing too. Hopeful that they will soon consider the request of airlifting the stranded passengers,” Sanjeev Verma, Divisional Commissioner, Jammu here told TNN. He also said that the administration has also asked the airline operators to revise and regulate the air fares.